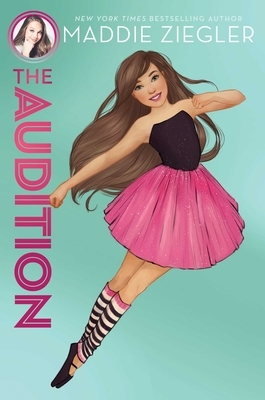 From Dance Moms star and So You Think You Can Dance: The Next Generation judge Maddie Ziegler comes the first novel in a brand-new middle grade trilogy about friendship, dance, and going after your dreams. Twelve-year-old Harper has been dancing practically since she learned to walk. She loves her dance studio and team, and just won her first ever top junior solo in a regional competition. But right before the school year starts, Harper’s parents drop a bombshell—the family has to relocate from their cozy town in Connecticut to sunny Florida for their jobs. That means saying goodbye to her friends, dance team, trips to see shows in NYC—and did she mentioned dance team? While her parents reassure her that they will find her a new studio as soon as they move, Harper is not happy. When she arrives, she realizes that the competition in Florida will be fierce and it doesn’t matter how talented she is—she is the new girl and will have to prove herself. During her very first class, Harper finds it harder than she thought it would be. Even though they are all the same age and have been dancing for roughly the same amount of time, it feels like everyone has better feet, quicker turns, and faster taps than Harper. And it doesn’t help that a group of girls, who nicknamed themselves The Bunheads, wonder how she made the team if she can’t even do a simple turn sequence in front of the class. Thankfully, Harper befriends Lily, a fellow newbie in the studio who is just as eager to make her mark and find a friendly face. With a big competition coming up for the dance team, Harper is determined to show everyone—especially those Bunheads—what she’s made of! And when a very badly timed sprained ankle threatens all of the work they have done, the Bunheads, Lily, and Harper must learn to truly work together to give them their best shot at the top spot!